From a five-month war and a shocking casino attack to persistent train breakdowns and unresolved killings, 2017 made its mark as a challenging year for the nation. Thousands of Filipinos take the Metro Rail Transit (MRT) every day to cross EDSA, one of Metro Manila's busiest thoroughfares. But years of poor maintenance has made commuting on the metro rail a near-daily nightmare. 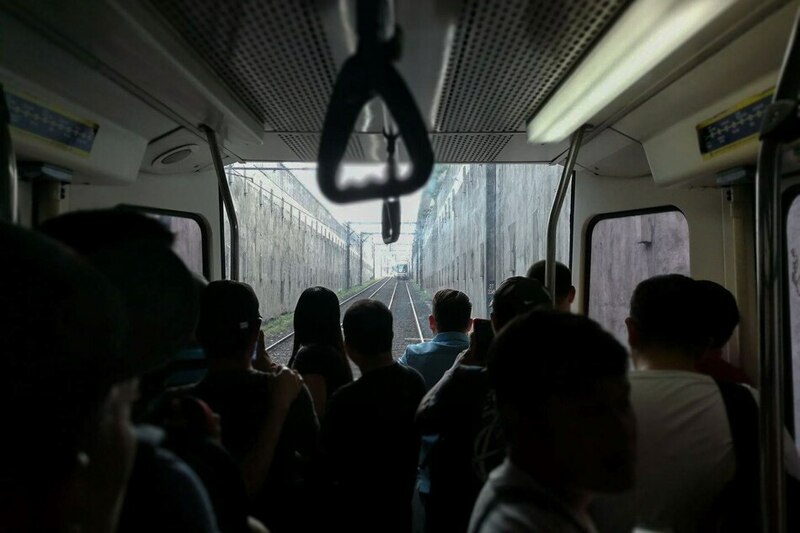 Over this year, the MRT has suffered breakdowns almost every day and seen its share of mishaps, from a woman whose right arm was severed when she fell on the tracks at the Ayala Station and a coach that detached from the train just days later. Charges have been filed against former transportation officials who forged a deal with a Korean firm for MRT maintenance. Government is eyeing to get back the Japanese service provider that once took care of the metro rail's upkeep. The war on drugs was still top priority for President Rodrigo Duterte as his administration entered its second year, pursuing the campaign despite outcry here and abroad over killings of minors, drug-linked politicians and other drug suspects under suspicious circumstances. The deaths of teenagers Kian Delos Santos and Carl Arnaiz in questionable police operations presented the biggest challenge to Duterte’s campaign. Following a slide in his popularity scores and eroding trust in the police, the government decided to put the Philippine Drug Enforcement Agency (PDEA) at the frontline of the war on drugs and relegate the significantly larger Philippine National Police (PNP) to a supporting role. 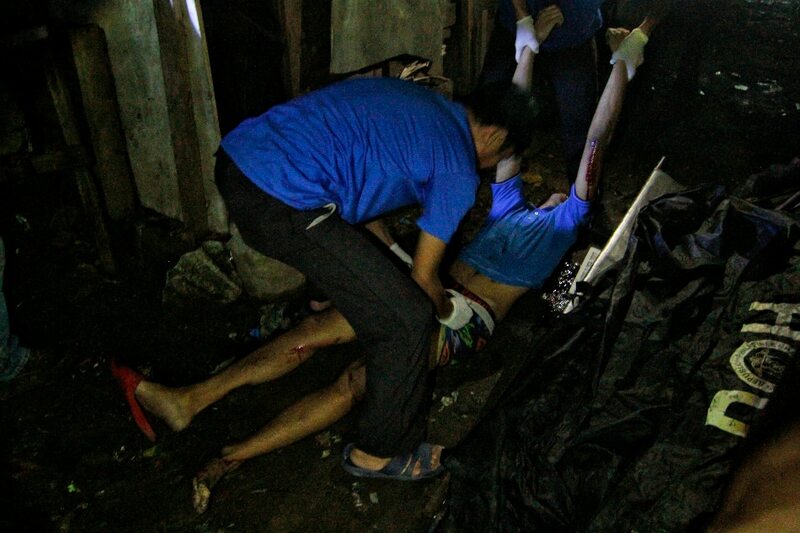 While there was unequivocal public outrage over the teen deaths, public opinion was divided on the killings of politicians the President had tagged in the drug trade, among them Ozamiz City Mayor Reynaldo Parojinog Sr.
Other so-called “narcopoliticians” who were killed in the anti-drug campaign in 2016 were Maguindanao Mayor Samsudin Dimaukom and Albuera, Leyte Mayor Rolando Espinosa. After the Ozamiz mayor’s death, Duterte trained his sights on Iloilo City Mayor Jed Mabilog, prompting the latter and his family to leave the Philippines. Despite facing a complaint filed before the International Criminal Court (ICC) over deaths linked to his war on drugs, Duterte was still unfazed. 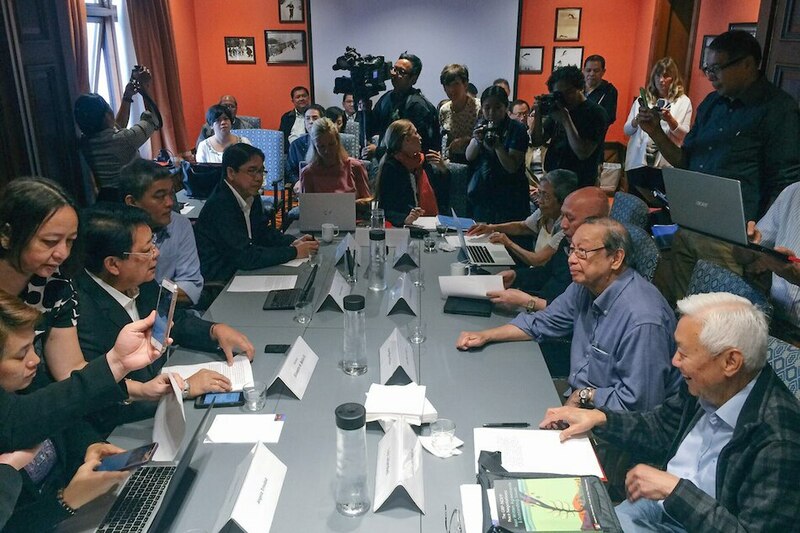 He threatened to withdraw the Philippines from the international tribunal and continued to hurl insults at prominent human rights advocates, such as United Nations rapporteur Agnes Callamard. On the afternoon of May 23, 2017, the Islamic State-inspired Maute terrorist group laid siege on Marawi City, raising a black flag in front of the Amai Pakpak Medical Center, and then taking several hostages, including a priest, parishioners and teachers. President Rodrigo Duterte, who was in Moscow at the time, had to cut short his trip and rush back home. He declared martial law in Mindanao in response to the siege just before his flight back. For months, the extremists repelled the full offensive of state troops until October when their forces, weakened by the deaths of their leaders and decline in supplies, finally succumbed. More than 1,100 died in the five-month conflict, most of them terrorists. Over 300,000 were forced to flee from the city and nearby areas, and the once bustling commercial capital was left in ruins. 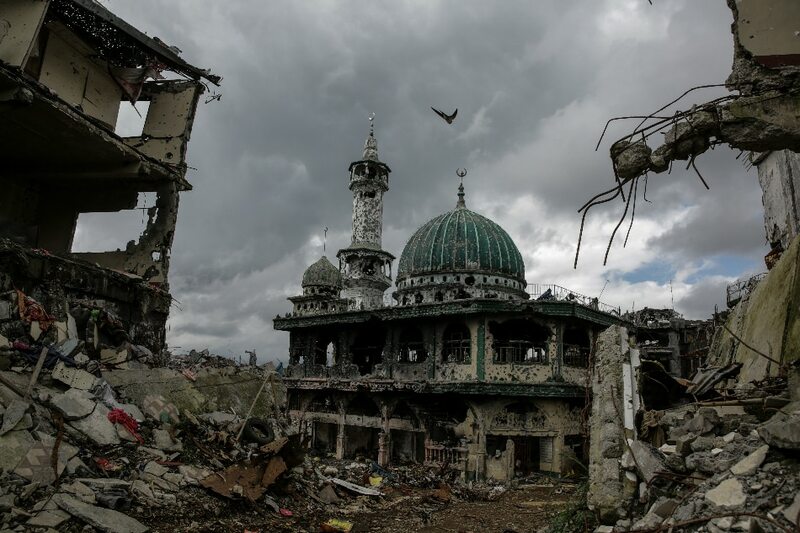 In the wake of the victory, government has set a rehabilitation plan that seeks to restore Marawi's old glory. President Duterte made good on his promise to fire officials “on a whiff of corruption,” sacking a number of civil servants accused of taking advantage of their posts. Among prominent officials who were axed were his first Interior Secretary Ismael Sueno, Dangerous Drugs Board chief Dionisio Santiago, and Presidential Commission for the Urban Poor Terry Ridon. Even the cousin of Duterte’s partner Honeylet Avanceña, PCUP Commissioner Melissa Avanceña Aradanas, was not spared. 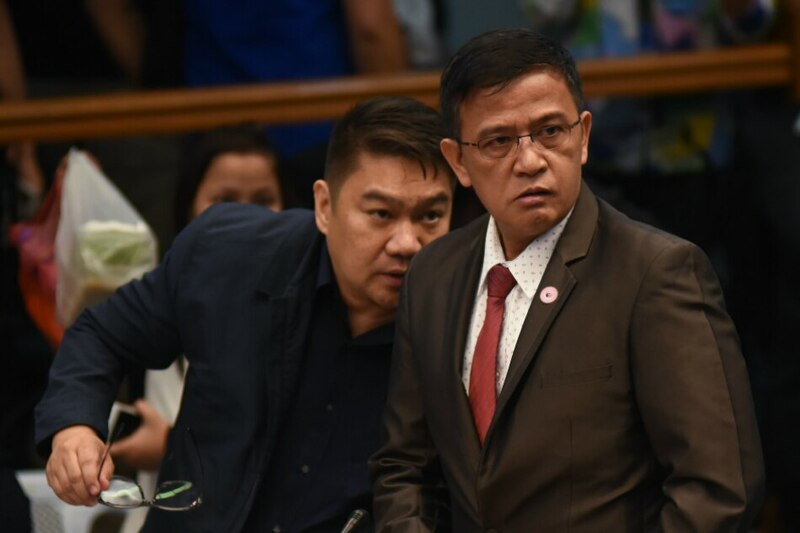 While some lauded Duterte’s move, his critics accused him of having a double standard when he still trusted former Customs Commissioner Nicanor Faeldon even while he was tagged in the smuggling of P6.4 billion worth of shabu in the Philippines. Duterte also made it his vow to probe the Office of the Ombudsman, led by Conchita Carpio Morales, an appointee of his predecessor, for corruption and supposed partiality in dealing with cases. In October, he created an anti-corruption body meant to investigate corruption allegations against presidential appointees and other public officers. University of Santo Tomas law (UST) freshman Horacio “Atio” Castillo III this year became yet another rallying point for moves to stop a tradition that has exacted violence and blood in exchange for brotherhood. A law freshman at the UST, 22-year-old Castillo wanted to become part of the Aegis Jvris fraternity, thinking that it rejects hazing, his parents said. But hours after attending the organization’s “welcoming rites” in September, he succumbed to severe injuries allegedly in the hands of young men he had sought to call brothers. 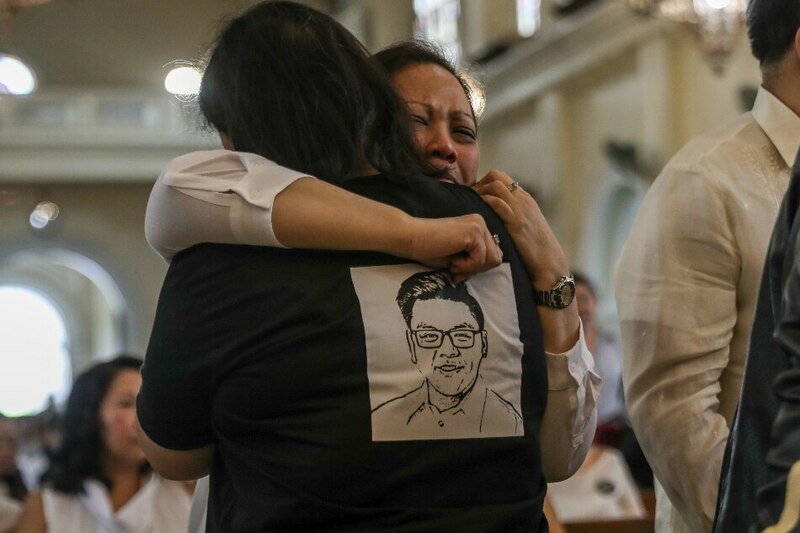 Castillo’s death drew public outrage and prompted a Senate inquiry that aimed to boost the anti-hazing law. His loved ones are crying for justice. For Chief Justice Maria Lourdes Sereno, 2017 is perhaps the most challenging year yet. The country's first female chief magistrate, whose term in office until 2030 means she will outlast several Presidents, is accused of failing to make truthful declarations in her 2010 Statement of Assets, Liabilities and Net worth, allegedly living an extravagant lifestyle, and purportedly manipulating shortlists of candidates to the High Court. Several colleagues in the Supreme Court have testified at the House impeachment hearings on the complaint filed by lawyer Lorenzo Gadon. 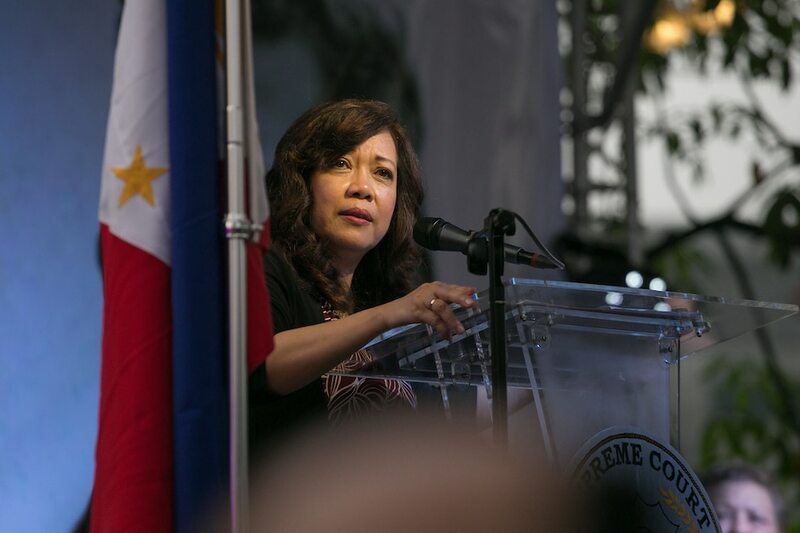 Sereno has denied the allegations against her, calling them "narratives built on lies." Early this year, Senator Leila de Lima was arrested and detained on drug charges for her alleged involvement in the illegal drug trade at the national penitentiary. 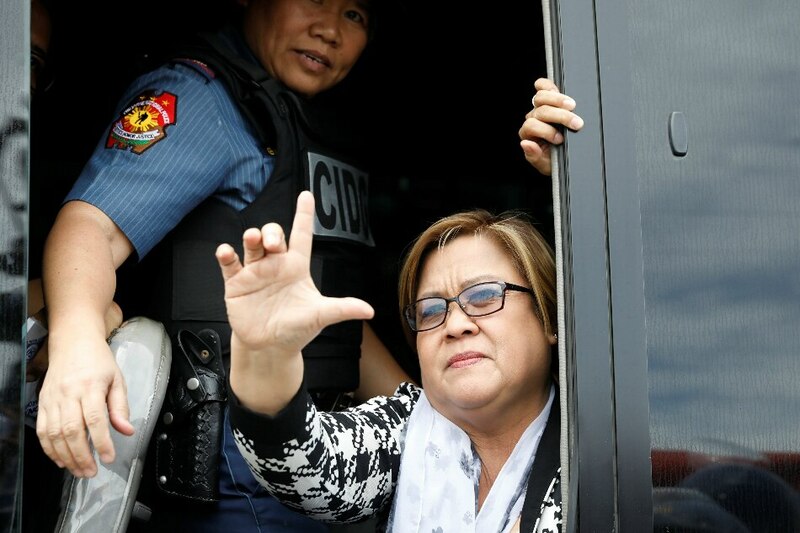 De Lima’s incarceration has drawn global media coverage for standing as the face of dissent against President Rodrigo Duterte, being one of his most vocal critics. But even behind bars, De Lima continues to earn recognition, winning Liberal International's Prize for Freedom, and even making it to TIME Magazine's list of 100 most influential people along with Duterte. She has asserted that charges against her were made up, and that her detention is part of political persecution. While the Duterte administration has faced several controversies since last year, the entry of a P6.4-billion shabu shipment from China in May, one of the largest the government seized this year, became one of the biggest stories related to alleged corruption. 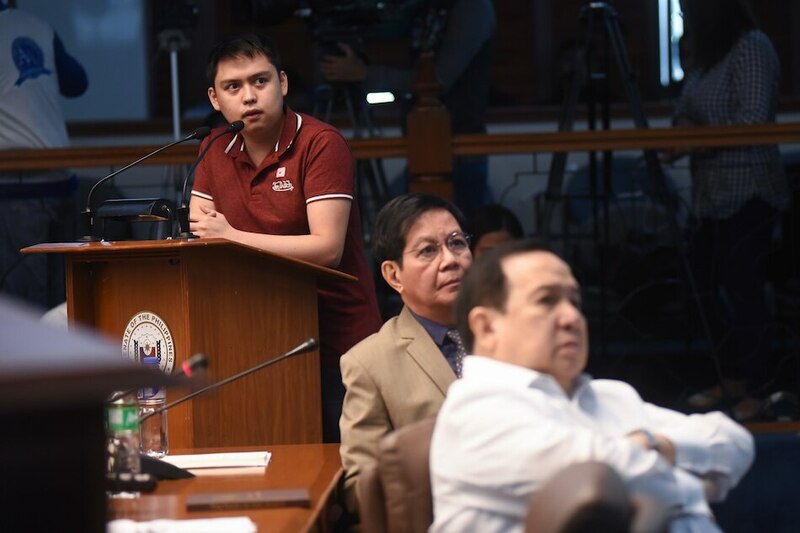 The shipment prompted both the Senate and the House of Representatives to undertake investigations, inviting officials and other witnesses to find out how the shipment slipped past the Bureau of Customs (BOC). The drug haul exposed alleged corruption at the BOC, with witnesses tagging officials in receiving "tara" or bribe money to allow the release of illegal shipment. The incident led to the resignation of several customs officials, including Import Assessment Services (IAS) Director Milo Maestrecampo, Intelligence and Investigation Services Director Neil Estrella, and the departure of Customs Chief Nicanor Faeldon after they were accused of accepting bribes. This led President Rodrigo Duterte to appoint former Philippine Drug Enforcement Agency (PDEA) chief Director General Isidro Lapeña to replace Faeldon in August. Duterte, a former student of CPP founding chairman Jose Maria Sison, had sought an end to the nearly five-decade-old Maoist insurgency early in his term, but began to douse the Reds with vitriol after a 4-month-old girl was killed by a stray bullet in an NPA ambush in Talakag town, Bukidnon. The NPA's continuous attacks against government troops and civilians amid negotiations, and the Reds' supposed demand for a coalition government, were among reasons Malacañang cited on why talks fell through. Despite pulling away from the negotiating table at least thrice this year, Duterte still seemed open to resuscitating the peace talks. The Philippines this year battled two health scares: the country’s first avian flu outbreak, and new findings that left a dengue vaccination program in tatters. In August, Influenza A H5N6, a virus that is transmittable from fowls to humans, struck poultry farms in San Luis, Pampanga and 2 towns in Nueva Ecija province. The bird flu outbreak prompted the slaughter of some 200,000 fowls, a ban on the movement of poultry from Luzon to Visayas and Mindanao, and the loss of millions of pesos in income. 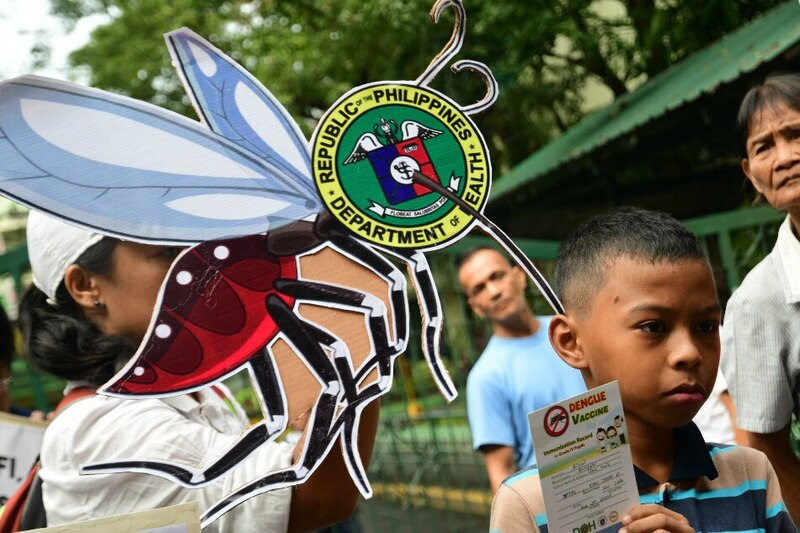 Later in the year, pharmaceutical giant Sanofi Pasteur disclosed that its dengue vaccine Dengvaxia might worsen the disease if given to those who had yet to contract the mosquito-borne virus. The government immediately suspended the Dengvaxia vaccination program, under which some 830,000 children were inoculated. Several offices have launched separate inquiries into the issue and the possible liability of the Aquino administration, which launched the P3.5-billion program in April 2016. The Philippines took the international spotlight in April and November as at least 20 world leaders converged in Manila for the Association of Southeast Asian Nations (ASEAN) Summit. The government allocated at least P17 billion to host the series of meetings, including the regional bloc's 50th founding anniversary celebration, which were attended by world leaders, including United States President Donald Trump, Japanese Prime Minister Shinzo Abe, and Canadian Prime Minister Justin Trudeau, among others. 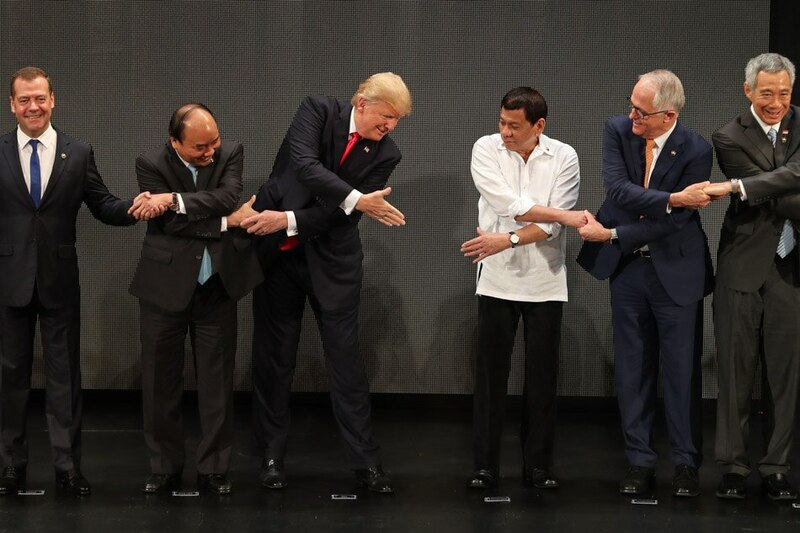 Aside from a botched concert and a pro-administration blogger's confrontation of a foreign journalist at the ASEAN Media Center, the ASEAN Summits in Manila were generally peaceful. Critics, however, did not consider the hosting a victory for the Philippines as Manila allegedly failed to use its chairmanship to steer South China Sea discussions in its favor. ASEAN's policy of non-interference also kept the regional bloc mum on issues involving its member-states, including the reported extrajudicial killings under the drug war in the Philippines, and the Rohingya crisis in Myanmar. 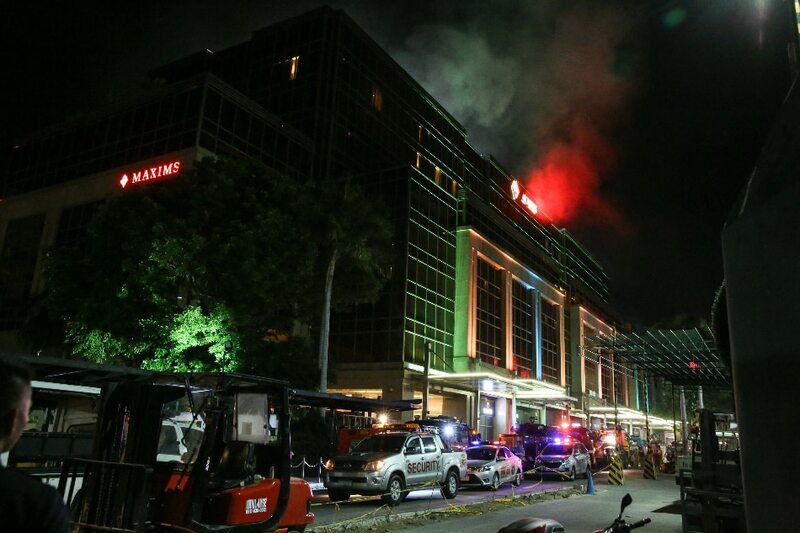 A few minutes past midnight of June 2, a lone gunman entered Resorts World Manila, firing gunshots and setting rooms and casino tables on fire in one of the deadliest attacks in the country's capital in recent history. At least 38 people died in the incident, according to authorities. Most of them suffocated after getting trapped in rooms where they went to hide from the masked assailant. A Resorts World Manila official said the dead included 13 employees and 22 guests. The gunman committed suicide before he could be caught. The assailant, identified as Jessie Javier Carlos, burned himself inside Room 510. It turned out, the assailant was a gambling addict who suffered depression after having problems with money and his family. Resorts World Manila vowed P1 million in financial assistance to families of the fatalities. Investigations later revealed security lapses on its part, which allowed the gunman to sow terror at the casino complex. Just as the nation prepared for Christmas merriment, back-to-back storms, a mall fire and a road crash made made headlines in a tragic series of events that left more than 300 dead and scores missing across the country. 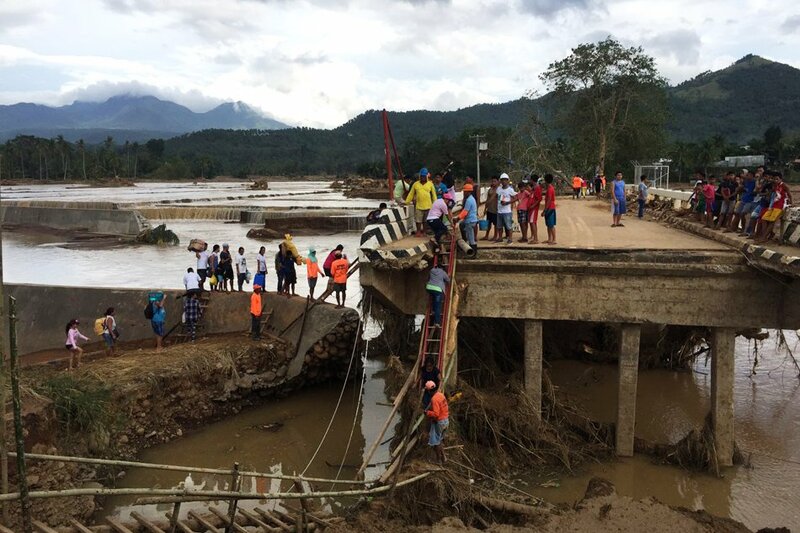 Thousands of families in Visayas and Mindanao spent Christmas in evacuation centers after the onslaught of Tropical Storms Urduja and Vinta, which triggered deadly mudslides and flash floods. In Davao City, dozens of families were left in mourning following a mall fire that killed 38. And in Agoo, La Union, 20 were killed when a jeepney crashed onto a bus before dawn on Christmas Day.